A modern take on a Mid-Century Modern classic design, the Volante Dining Chair by Eichholtz is the perfect partner to a number of dining room schemes. 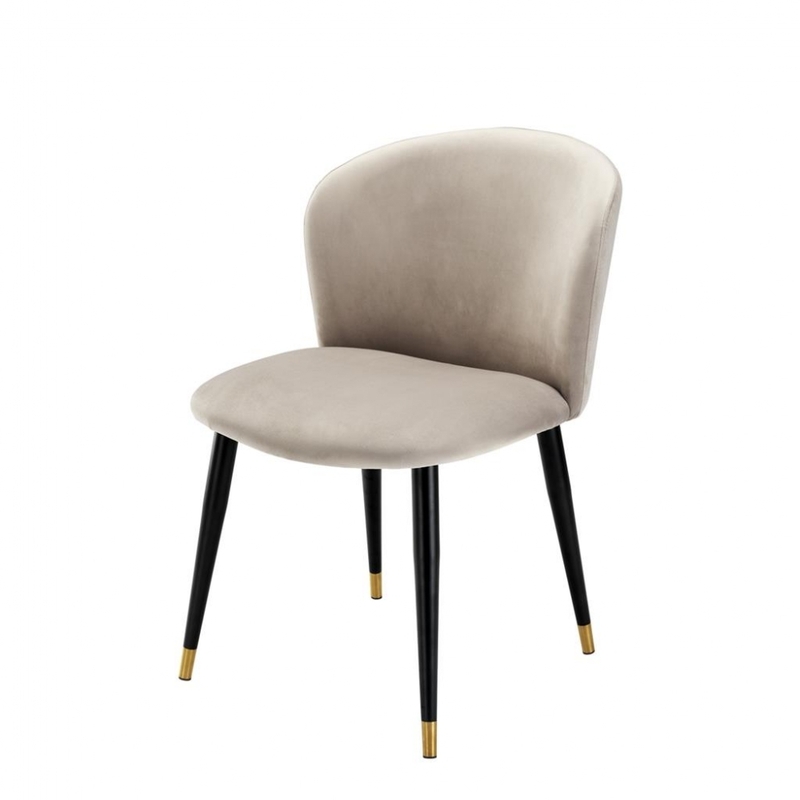 Its refined black legs are elegantly finished with a gold tip and the perfectly proportioned curved seat and back make it a luxurious yet practical choice. Choose from sumptuous Roche beige velvet, rich Roche dark green velvet or dramatic Savona midnight blue velvet to complement your interior palette or to add a contemporary accent. Mix and match the available colours for a modern twist in a traditionally furnished restaurant or bistro or enhance vintage features and soften a glass topped table in a retro inspired, open plan dining room. The Volante Dining Chair is also a practical option as occasional seating in a bedroom suite, hallway, office boardroom or boutique hotel foyer. Here at Uber, we have an extensive directory of Eichholtz luxury homewares and other, similarly high quality interior brands to choose from. Why not contact our expert interior design team for further details and inspiration to help you find the perfect curated collection for your next home, yacht, bar or hotel design project?